Throughout the fall/winter I’m partnering with Local Roots NYC to create locally inspired eats. Many of the ingredients used in this recipe are sourced from local farms included in their community supported agriculture (CSA) program. Check out their Fall CSA that provides a weekly pick-up through December 6th! To roast the beets, heat the oven to 400°F. Trim the ends from the whole beets and make a foil packet for them. Place the beets inside, fully cover with foil and roast for 45 minutes to 1 hour. Place the whole star anise and dried pepper in a spice bag. You can easily make one with cheesecloth, or simply tie the two together with cotton string. Heat the orange juice over medium heat in a small pot. Add the apples, orange zest, cinnamon, cloves, spice bag and maple syrup. Stir together and simmer for 3 minutes. Remove the skin from the beets and dice into small pieces. Add to the pot and give it a quick stir. 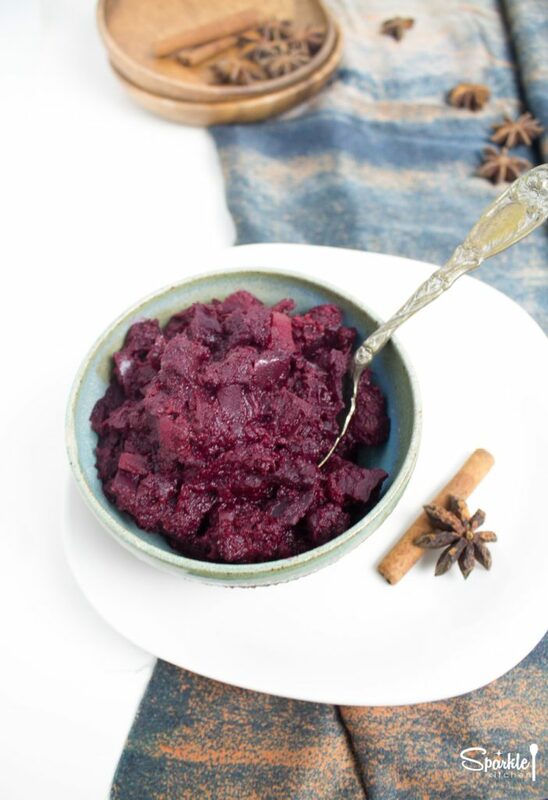 Remove from heat and use an immersion blender to smash up the apples and beets. Or you can leave it as is and have a more chunky chutney. Add all dressing ingredients to a food processor. Pulse for three minutes until thoroughly combined. 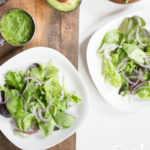 Toss the dressing with the greens and onion. Serve immediately. 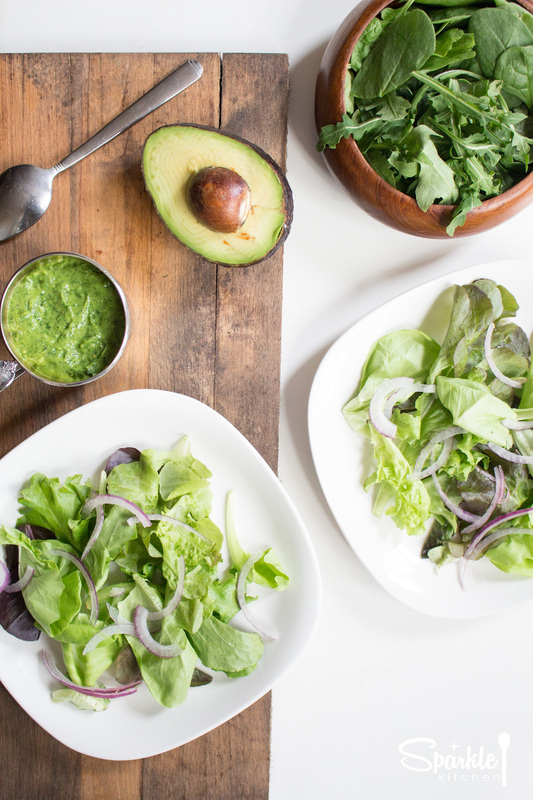 Spicy arugula adds zip to this dairy-free green goddess dressing. To make the sauce, place all ingredients except the honey in a food processor. Pulse for one to two minutes. The honey will incorporate into the sauce better when it’s slightly warm. Place it in a small bowl and heat in the microwave for 10 seconds. 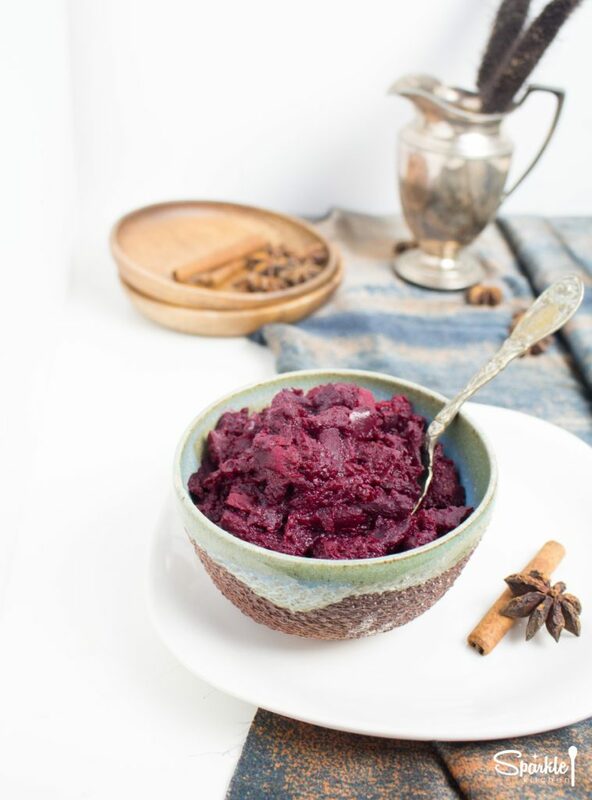 Drizzle honey into the food processor and pulse a few seconds to incorporate. Set aside. 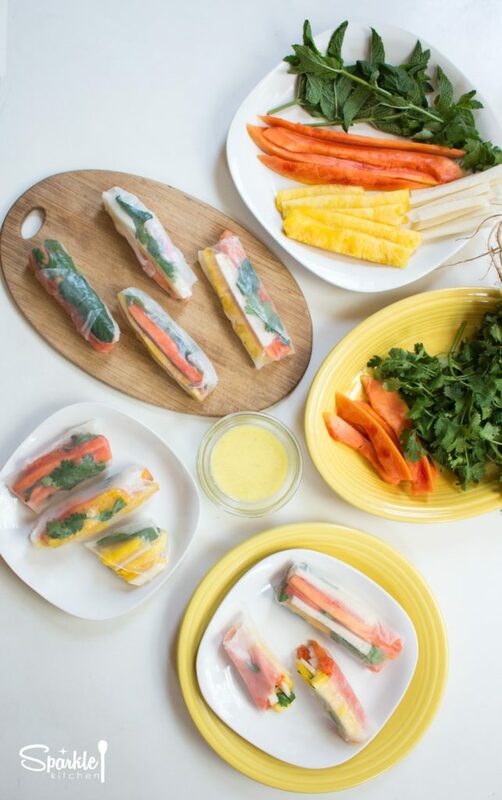 Assemble the spring rolls. 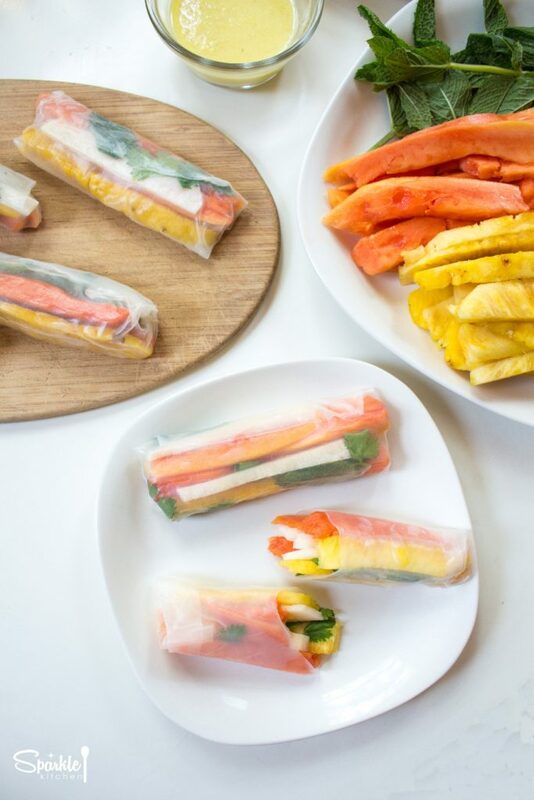 Soak individual sheets of rice paper in water until pliable. Gently move to a plate and begin layering fruit and jicama into the center of the paper. 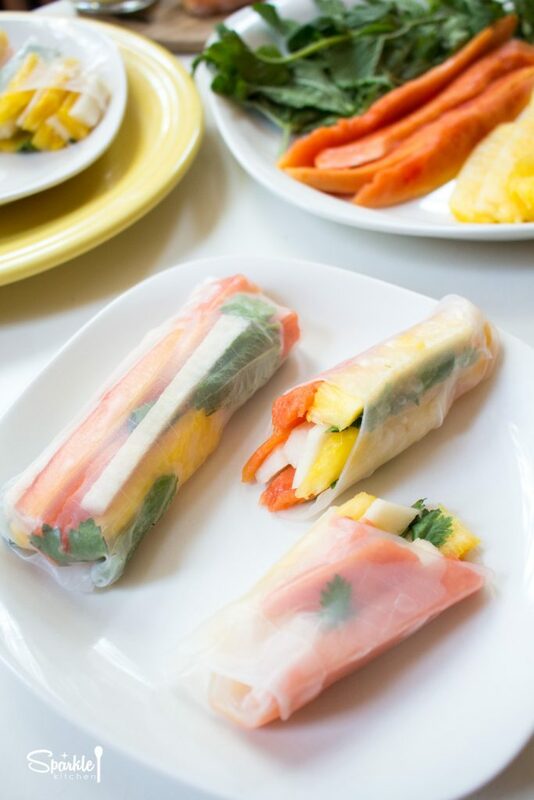 Include just a few leaves of mint and cilantro into each roll. Roll like a burrito and secure. 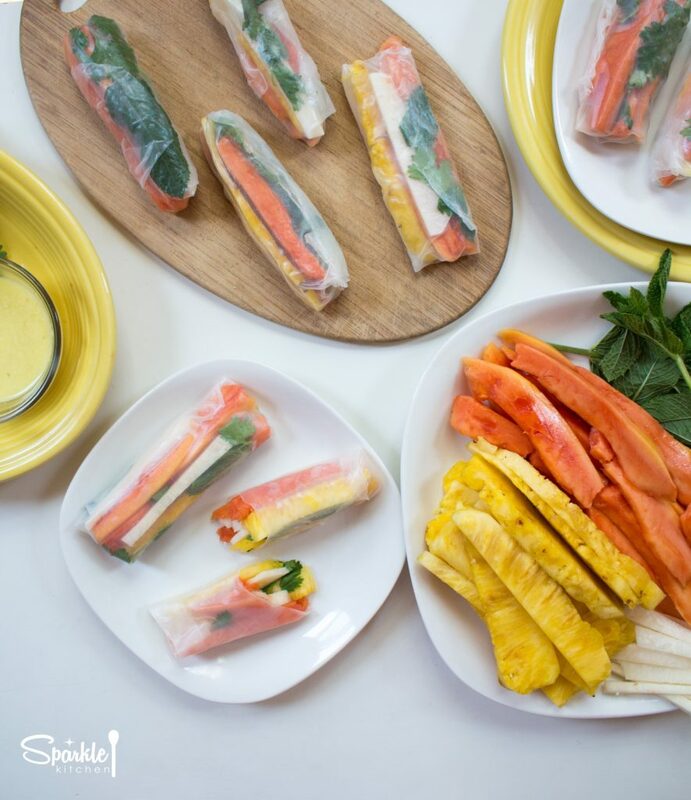 Serve immediately with ginger dipping sauce. Get creative with the fruit combinations! Try mango, watermelon, strawberries, peaches, or honeydew melon. 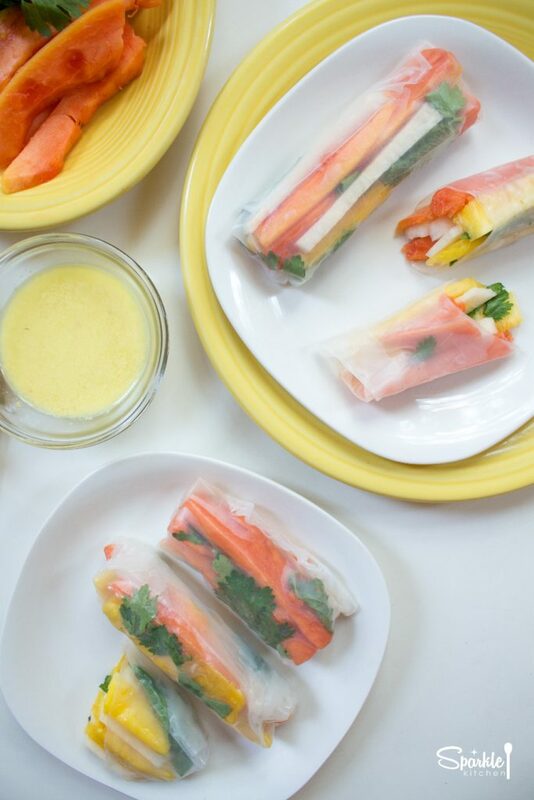 Fresh summer fruit wrapped up with jicama, mint and cilantro.